Look what came in the mail! 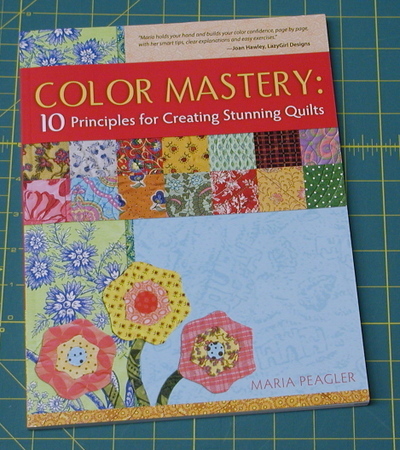 Maria Peagler was kind enough to send me a copy of her new book about color. I like the chapter about keeping a color journal. 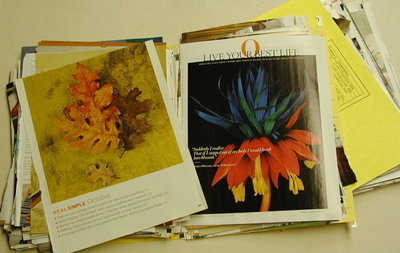 Right now, I have a couple of folders stuffed full of magazine clippings and ideas - but it never dawned on me to keep a separate one just for color ideas. I even have several piles of fabrics grouped together on my counter that I can't break up because what if I can't come up with that wonderful combination again? I could just snap a photo and put it in my color journal. Thanks Maria! Fantastic! That looks like one that I have to have. Thanks for the link to her blog as well, it is really great! Good luck on starting your color journal. You'll be amazed at the color discoveries you make. It's like having your own personal treasure trove of color inspiration. And congrats on starting your new blog. Hurray! I think a color journal is a great idea. I get ideas from magazines and I look for color everywhere I go. Someone asked me the other day if I gravitate towards certain colors. I don't think I do. I love to try different color combinations. Sometimes I see color. My latest are purple,orange,and lime green or orange and gray. This time of year it's red and green. I have a ton of Christmas quilts! A soldier also died in southern Afghanistan and the fourth died in eastern Afghanistan, according to a NATO statement.